In ludado we have just upgraded our Yatzy Solitaire dice game to notably improve its performance, and to activate high-definition (HD) graphics for mobile phones and tablets. It does not matter if you play on the web, or you downloaded the android version in Google Play, the difference is remarkable. To this end, we used PixiJS, the 2D graphics library created by the great guys of Goodboy, who are helping to lots of HTML5 games developers like us to make the most of our creations. 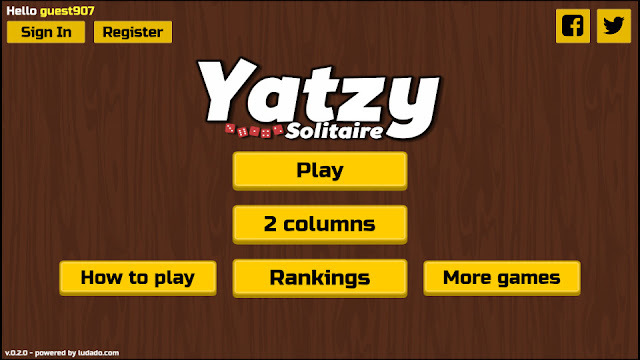 This new version of our Yatzy Solitaire game is almost identical to the previous one. There are minor changes, of course. If you are one of those who pays attention to every detail, you will notice that the background of the menu is different. It has gone from several tones of brown to a "wooden" texture. But the real changes are in the definition of the graphics and the performance of the game. In the menu images that we saw previously, you can already appreciate the improvements in the definition. If we pay attention to the texts of the menu, we perceive they were blurred in the previous version. And the game icon had jagged lines. 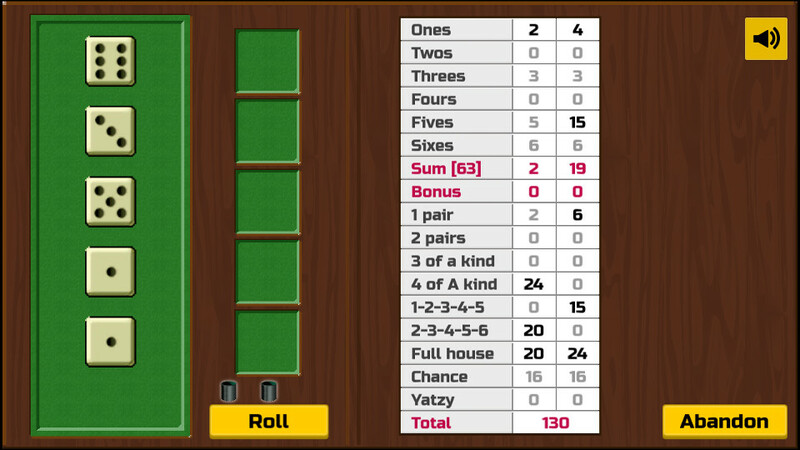 None of this happens in the new version. However, perhaps the dice in the game screen are the most evident example. 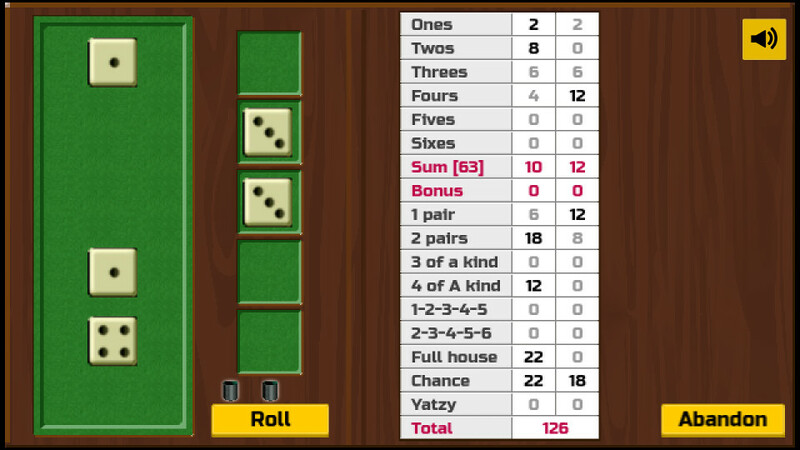 In the previous version of the game, as we can see in the image, the edges of the dice were irregular and poorly defined. This is something completely fixed in the new version.